So here you go, today’s Quick Tip – Use Styles for consistency. It’s time to show off your Composer skills. In talking with users at trade shows and customer sites many of you have developed really cool tips and tricks of your own to help speed up your production or help in specific situations. Why not show off those skills and be a hero to others who may have similar needs. In the near future, we will be taking submissions from our users and resellers to help you do just that. When creating technical illustrations with 3DVIA Composer a frequently asked question is how to show a drawing frame with title block in the generated vector outputs. With the Model Browser it’s easy to create a library of drawing frames including the necessary text fields. 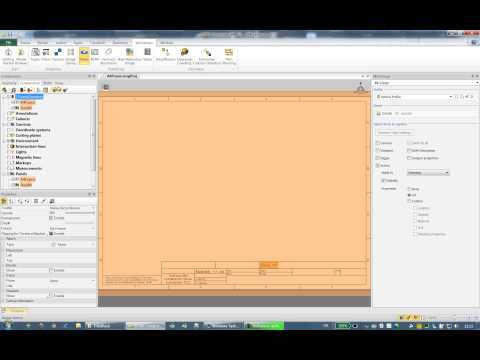 The video shows how to create a standard A4 drawing frame with text fields and how to use it from the model browser for technical illustrations. As usual for 2D drawings you’ll need one template for each paper size (paper space) you’re using. But have a look at the video… it won’t take more than 5 minutes for each.